99% Purity Steroid Hormones Powder Oxandrolone Anavar For Weight Loss - HealthclubBiotechnologyCo.,Ltd. Usage: Can be used as pharmaceutical material, Anavar(Oxanabol) is good for power and for cutting purposes, except for mass or a lot of heaviness growing. Chemotherapy. 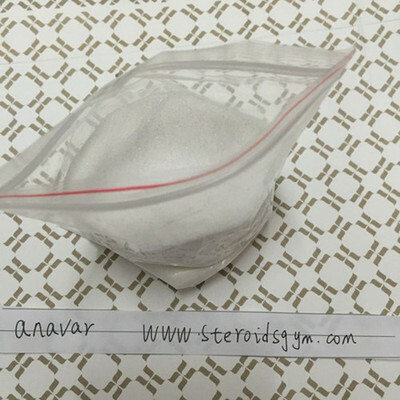 Anavar is the commercial name of oxandrolone, a steroid of oral anabolic action derived from dihydrotestosterone. It was designed to have a very strong separation of the anabolic and androgenic effect and the lack of significant estrogenic or progestational activity. Oxandrolone is noted as rather mild as far as oral steroids are concerned, well adapted to promote the strength and quality of muscle tissue benefits without significant side effects. This drug is a favorite of dieting bodybuilders and competitor sports in high-speed / anaerobic sports, where its tendency to increase net tissue (without fat and water) is well matched to the desired goals. Oxandrolone is an orally ingested anabolic steroid that is normally prescribed in the 5-10mg per day range with prescribed doses rarely surpassing 20mg per day. Use will normally last 2-4 weeks followed by a short break and repeating the cycle until the issue is resolved. Use of this nature may in some cases last indefinitely. For the male anabolic steroid user, 20-30mg per day although a low dose will produce an anabolic bump. However, 40-50mg per day is far more common and effective. Some men will use as much as 80-100mg per day. Female Oxandrolone users will normally dose the steroid at 5-10mg per day. It’s not common for a woman to need more than 10mg per day, but if more is needed it can be increased by 5mg. Doses that surpass 20mg per day will almost assure some level of virilization. 6-8 weeks of use is standard with both men and women.